Kaufmann has it all — baritone burnished tenor voice and great musicianship. His career trajectory has followed his sensational gifts. He's the Verdi, Gounod, Puccini and now Wagner tenor everywhere in the world, from Berlin to New York to Buenos Aires. Why phantom? Kaufmann has become king of cancellations. Announced performances in New York and Europe have been abandoned, as the tenor seeks to carve out more time with his family. It's understandable since opera contracts are often set years in advance. Still, Kaufmann has the marquee value — and the goods to back it up — so each cancellation has been a huge disappointment to fans and managements. The announcement that Kaufmann would come to America to sing Act II of Richard Wagner's Tristan und Isolde with the Boston Symphony was met with some skepticism. First, can he sing Tristan, the Mt. Everest for tenors? Secondly, would he show up? He did, and he could. What do you think? Here's an excerpt: Andris Nelsons conducts the Boston Symphony in Symphony Hall, with Camilla Nylund as Isolde. Kaufmann, who has drawn critical acclaim for his performances of Parsifal at the Metropolitan Opera, also sang with power and depth in the opening of the scene between the two lovers. Bold and ringing clearly, his voice brought a genuine heldentenor quality to the role. Standing behind music stands on opposite sides of the podium, Kaufmann and Nylund sang their impassioned duet while facing the audience oratorio-style, and both of them relied heavily on their vocal scores. Within that scope Kaufmann delivered, despite a few less steady moments. Certainly when he telegraphed Tristan’s ardor with ringing tenorial power, or when he sang of night’s gentle charms with beautifully shaded tones that somehow combined tenderness and intensity, you sensed the winning Tristan he could eventually become. Nylund, who is also still finding her way into this daunting role, sang honorably and at her best moments, registered her character’s impatient ecstasies with bright vocal radiance. There were tantalizing moments — long stretches, even — in his courageous performance. When Tristan arrives at night to meet Isolde, Mr. Kaufmann combines virile energy with dusky colorings to suggest a man caught between desire and world-weary sadness. But he was particularly fine when passions calm for a while and the two lovers sink into Wagner’s nocturne, longing to be eternally united in death. The covered quality of Mr. Kaufmann’s voice, in which even firm, sustained notes have a slightly shaded cast, was what you dream of hearing when Tristan sings these melting phrases. A great Tristan must have vocal endurance to sing the entire role, and Mr. Kaufmann still seems to be finding his way. He also appeared to be grappling with some congestion and took frequent sips of water. But this was a big step. A formidable new Tristan is a rarity. The world of music awaits. "The music is like a drug, extremely addictive," Kaufmann told The New York Times. "You can never get rid of it. It is always there, stuck in your brain." 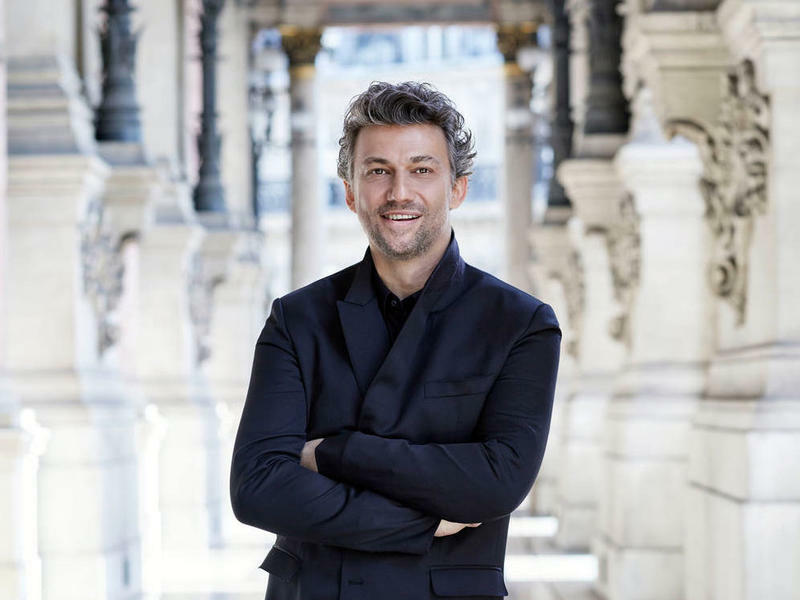 Kaufmann has announced he will sing Tristan — all of it — in 2021. I'm buying a new piggy bank to start saving now. What does it take to be an opera superstar? Jonas Kaufmann should know. He's been called "the world's greatest tenor." Kaufmann has the voice. He's also got the onstage charisma, the movie-star good looks, the ambition, even a little controversy — and a brand new album. There are learned people who divide the history of western music of the past 500 years into two categories: before and after Tristan. Richard Wagner's three act music-drama, Tristan und Isolde, had its first performance on June 10, 1865. We'll celebrate this great work's birthday on Saturday's Opera and More at 1 p.m. But after all, folks, its only an opera. What's all the fuss about? I was recently reading "The Face on Your Plate" by Jeffrey Mousaieff Masson, who has written eloquently about the emotional lives of animals in other books, such as "When Elephants Weep" and "The Pig Who Sang to the Moon." In his most recent book, he makes a strong case for not eating meat (or eggs or dairy products, for that matter) based largely on ethical concerns about the exploitation and mistreatment of animals (but he also discusses the environmental and human health issues involved). Although this is not the forum for discussing the pros and cons of vegetarianism versus meat-eating, I couldn't help but wonder whether this issue was of concern to any classical music composers or performers in the past and if it affected their art. I was a little surprised where that led me.